The scent is exactly as you'd expect given its name; it smells of rich and gooey vanilla cake batter, with the sweetness of a lovely vanilla butter cream frosting and a very subtle hint of lemon. It's the kind of scent that I usually gravitate towards, so to be given it for my birthday was lovely. I've tried a few Yankee Candle votives over the last few months, and have been underwhelmed with their strength and throw, however I now believe that I may have bought out of date candles, because the strength of this one is far superior the others I've tried. Thankfully this candle is very clean burning, nothing aggravates me more than a candle that tunnels. Even though I didn't trim the wick, which I know I should have to help prevent tunnelling, it has burned evenly leaving no residue at all on the glass jar. I like to keep my used candle jars after I'm done with them, so I'm always appreciative of less clean up. I think having burned the Happy Birthday candle for a few days now has made me see that I got a bad collection when I ordered them off eBay a few months ago, so am much more likely to give other scents a try too. I love that I can snuff this out before I go to bed and still smell the sugary sweet vanilla scent half way through the next day. 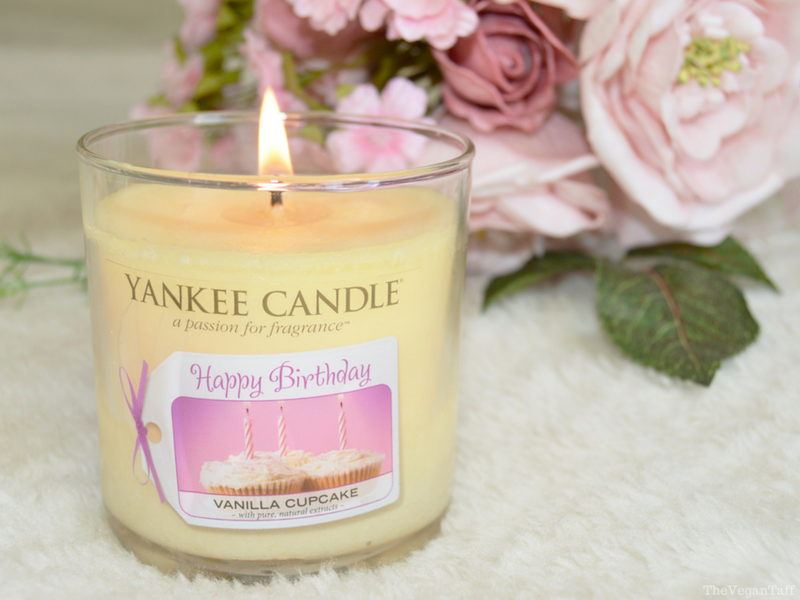 Yankee Candle Happy Birthday Vanilla Cupcake small tumbler candle is available online, and in stores nation wide for £7.99. What's your favourite Yankee Candle scent? I'd love to hear some recommendations in the comments below.